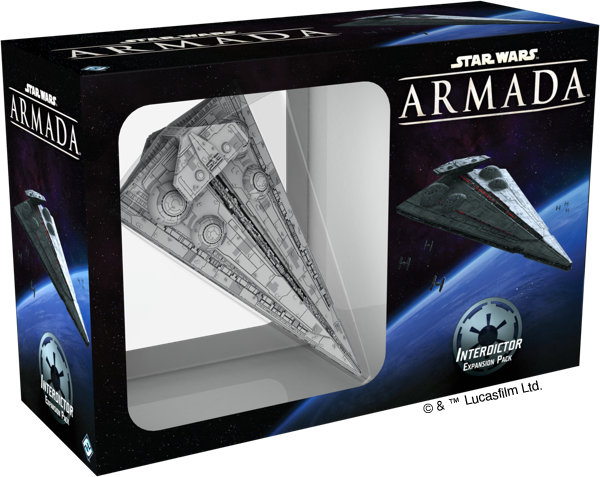 Do you want to win your very own fleet for Star Wars™: Armada? Do you want to win free copies of the expansions from Wave III and Wave IV? Then get ready to process the material from today's preview of the Interdictor Expansion Pack, as well as the information you will get from tomorrow's preview of the Liberty Expansion Pack! 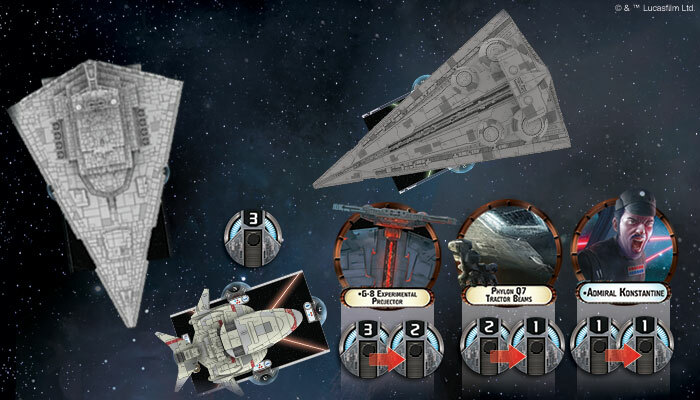 Because we at Fantasy Flight Games are so excited about all the different ways that Waves III and IV are bound to impact your Armada fleet battles, we recently announced the Star Wars: Armada Fleet Commander Contest, challenging you to impress our developers with creative fleet builds. Specifically, we want to see fleet builds that make clever and efficient use of the new Wave III and Wave IV materials. 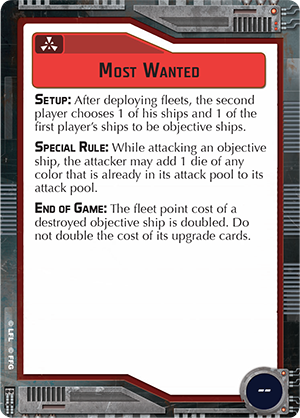 You can read all about the Star Wars: Armada Fleet Commander Contest elsewhere, but the fact remains: in order to facilitate your fleet-building, we need to reveal all the new Wave III and Wave IV contents. 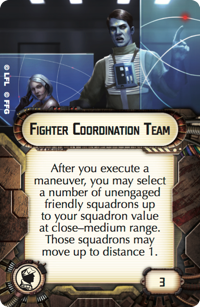 To that end, we have already previewed all the Wave III contents in our articles, "Support Your Squadrons. Support Your Fleet." and "A Different Sort of Strength." Now, we turn our attention to Wave IV, starting with a look at the Galactic Empire's newest ship, all its new upgrades, and some of the many strategies they may enable. Veiled in secrecy and designed as more than a weapons platform, the Imperial Interdictor was equipped with an experimental gravity well to rip Rebel ships out of hyperspace. 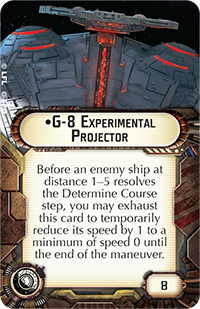 This made it a dangerous tool for the Empire, and the ship's gravity-based technologies are represented in Armada by its new Experimental Retrofit upgrade slots. Naturally, you can find these upgrade slots featured on both the Interdictor Suppression Refit and the Interdictor Combat Refit. As you can see, the ship's different configurations force you to decide whether you want your Interdictor to play more of a straight-up combat role or to make greater use of its Experimental Retrofit upgrades to control the battlefield and manipulate your opponent's ships. Both are valid choices, but as with all things Wave III and Wave IV, they require some thought as to how best integrate your decisions into the whole of your fleet and its strategy. As a medium-base capital ship, the Interdictor Combat Refit would appear, at first, to play a similar role in your fleet as a Victory-class Star Destroyer. Both have roughly the same hull values and fleet-point costs, although the Interdictor Combat Refit goes slightly above the Victory in both regards, featuring nine hull to the Victory's eight, and weighing in at ninety-three fleet points, compared to the eighty-five fleet points of the pricier Victory II-class Star Destroyer. What you get for those extra fleet points, then, is a starship that is a bit more well-rounded. It lacks the big six-die attack from its forward hull zone that the Victory can boast, but it can fire four dice each from three of its four hull zones. This means that if you can line up your shots on the diagonal, you can bring eight dice against a single enemy ship—nearly as many as the nine the Victory can fire when it lines up shots from both its forward hull zone and either its left or right hull zones. And though it suffers by way of comparison in those big volleys, the Interdictor comes out ahead of the Victory in terms of defense. 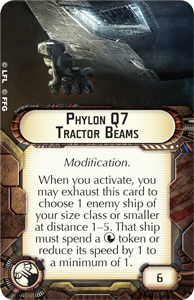 In addition to its extra point of hull, the Interdictor gains an extra defense token. 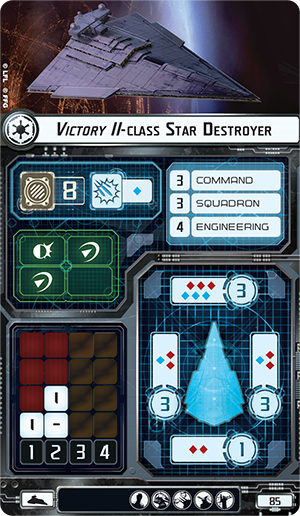 Instead of the Victory's one brace and two redirect tokens, the Interdictor has one brace, one redirect, and two contain tokens. If its shields ever go down—and there's always a chance your ship's shields will fail—the Interdictor stands a much better chance than the Victory of avoiding any crippling critical damage. Its fair to say that the Victory's ten total points of shielding, when taken together with its eight hull, make it the more reliable ship. This may be true, especially in the early game, when you can keep your opponent from getting around your flank. However, the Victory has always been most vulnerable through its rear hull zone. There, it has only a single point of shielding, and only two red attack dice. By contrast, the Interdictor's rear hull zone is nearly as strong as its sides, boasting two points of shields and three attack dice—one red and two blue. 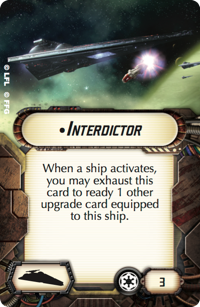 The more you look, then, the more you see that the Interdictor may not be as well-suited toward a perfectly crafted early game, but it may do a better job of surviving the unexpected twists and turns that come with the course of battle. 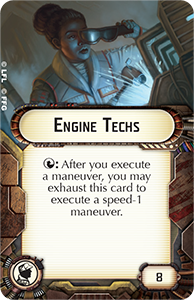 This is a fact reinforced, also, by the ship's extra point of Engineering, its reduced Command value, and its ability to take a support team like the ever-popular Engine Techs, which can allow the Interdictor to move effectively one speed-point faster than the Victory and with as many as one click at each joint of the maneuver tool. Of course, the most important distinction between the Interdictor and the Victory is likely the Interdictor's ability to equip an Experimental Retrofit, such as the G-8 Experimental Projector or the Targeting Scrambler. 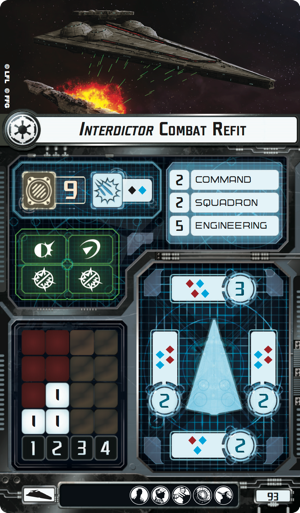 There are four different Experimental Retrofit upgrades in the Interdictor Expansion Pack, and although your Interdictor Combat Refit can only equip one of them, that upgrade is bound to play a big role in the ship's larger identity within your fleet. Of course, if the Experimental Retrofit upgrade that you equip on your Interdictor Combat Refit is going to play a large part in defining that ship's role, then you can imagine how much moreso the Interdictor Suppression Refit is bound to be defined by its Experimental Retrofit upgrades. 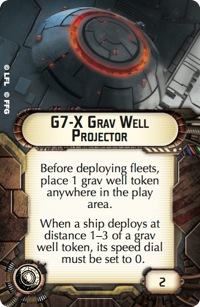 In addition to the G-8 Experimental Projector and Targeting Scrambler, the Interdictor Expansion Pack offers the Grav Shift Reroute and G7-X Grav Well Projector Experimental Retrofit upgrades. 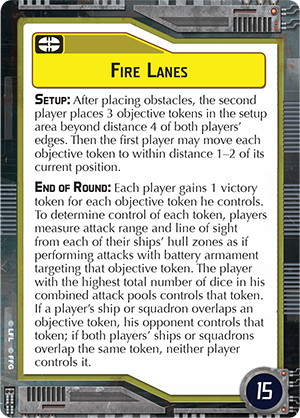 Taken altogether, these upgrades allow you to temporarily reduce the speed of enemy ships, force your opponent to reroll up to four attack dice, muddle the battlefield with obstacles according to your design, and force your opponent to either deploy his ships outside of a "dead zone" with a radius of range "3" or set the speed dials of all ships deployed within that zone to zero. In short, they change the rules of engagement so that you should never have to fight on even footing. Of course, the Interdictor Suppression Refit is going to be so tremendously appealing to so many players because these upgrades work particularly well in combination with each other, in combination with upgrades like Admiral Titus and Admiral Konstantine , and in combination with very carefully chosen sets of objectives. For example, the Grav Shift Reroute gives you a decided edge in any contest in which you are the second player and the first player chooses to play with either your Dangerous Territory or Fire Lanes objectives. 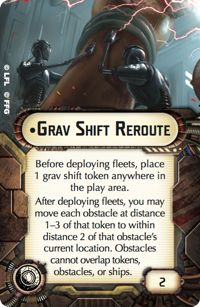 Just be sure to place your grav shift token within distance 1–3 of as many obstacles as possible, and you can either fly right through them to score your Dangerous Territory victory points or use them to slow your opponent's progress toward the Fire Lanes objective tokens. Use of the Grav Shift Reroute upgrade can tremendously impact your games played with the Dangerous Territory objective, straight from setup. 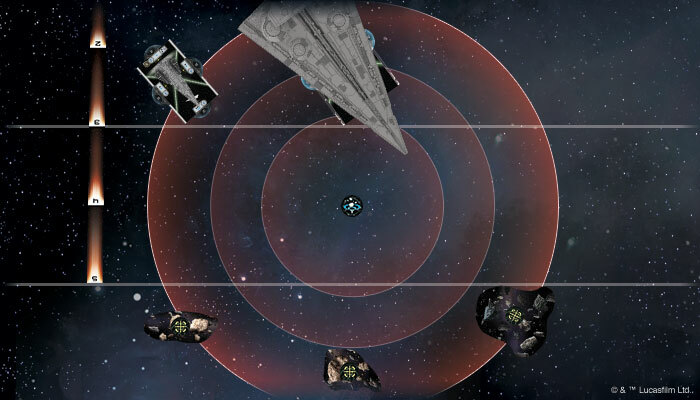 After using your grav shift token to draw the obstacles and objective points toward you, you can score them in the first round by charging full speed ahead with your Interdictor and a ship like the Imperial Raider. Perhaps you could combine these objectives with the Most Wanted objective and an Interdictor Suppression Refit that carries Admiral Titus, Phylon Q7 Tractor Beams, a Grav Shift Reroute, and the G-8 Experimental Projector. 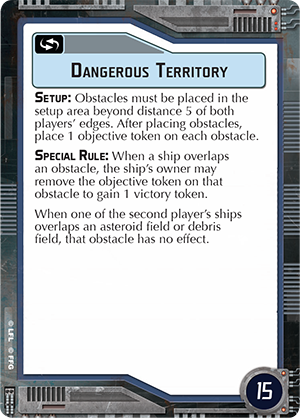 In this case, if your opponent selects the Most Wanted objective, thinking it will be easier to win that scenario than to figure out how to navigate the cluster of obstacles you might arrange, you can send your Interdictor in hot pursuit of his objective ship, then slow it to a crawl in order to make sure you line up your shots round after round until the ship is no more. 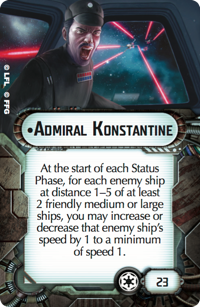 This works even better if you can pair your Interdictor with another large or medium ship so that Admiral Konstantine can penalize all enemy ships within distance 1–5 yet another point of speed. 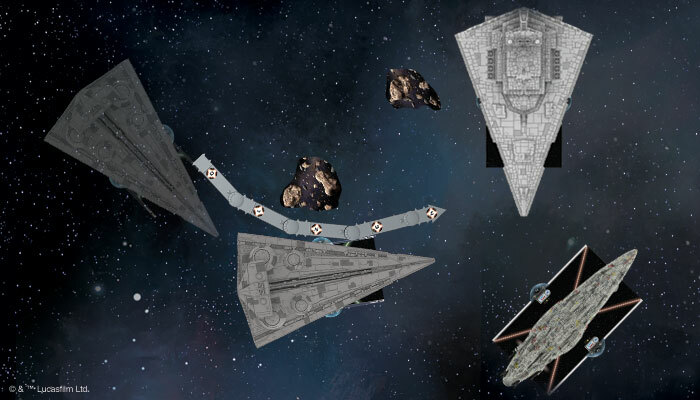 For a long time, one of the greatest challenges facing Imperial players with Victory-class or Imperial-class Star Destroyers has been the Rebels' tendency to slip past the firing arcs of the massive forward guns. 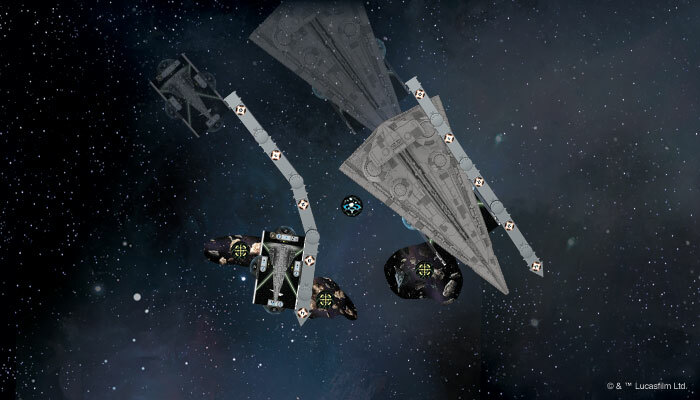 Now, by slowing each of those Rebel ships, Admiral Konstantine and the Empire stand much better odds of landing their most powerful volleys squarely on their targets in consecutive rounds. Force your opponent to navigate the maze of obstacles that you design, or force his most important ship to limp through space squarely in front of your most powerful guns. Either way, this is the sort of focus on your objectives and strategies that you are bound to see propelled to all-new heights by the ships and upgrades in Waves III and IV. As good as its ship, ship cards, and Experimental Retrofit upgrades are, the Interdictor Expansion Pack offers you plenty more ways to reconfigure your Imperial fleet. Among its fourteen upgrades, there are eleven that are brand-new to the game. 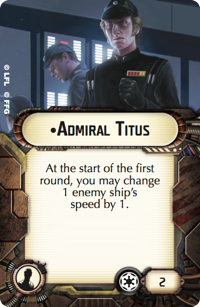 The Experimental Retrofit upgrades, the Interdictor Title, Admiral Konstantine, and Admiral Titus make up seven, and that leaves us with four more. 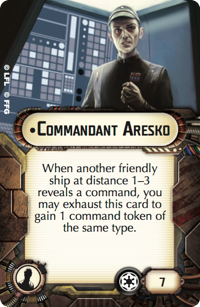 Commandant Aresko is priced the same as Wulff Yularen at seven fleet points and features a comparable ability, but instead of granting you a command token when you spend one, he allows you to gain a command token when a friendly ship within distance 1–3 reveals a command. He has to exhaust to use his ability, but if you feel so inclined, he can do so twice while aboard the Interdictor. As an alternative, the Flight Commander allows you to resolve your squadron command after executing your maneuver. 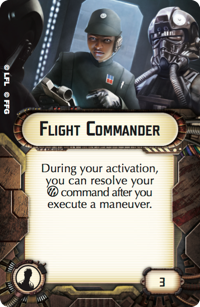 Given the Interdictor's speed and maneuverability when equipped with Engine Techs, this may be a good way to get your commands to a pair of fighter squadrons that got stranded from the rest of the fleet. Odds are, though, that the crew will be better placed elsewhere, like on a flotilla of Gozantis. As far as your squadron coordination goes, it is less likely to be your Interdictor's primary concern. After all, the ship only boasts a Squadron value of two. 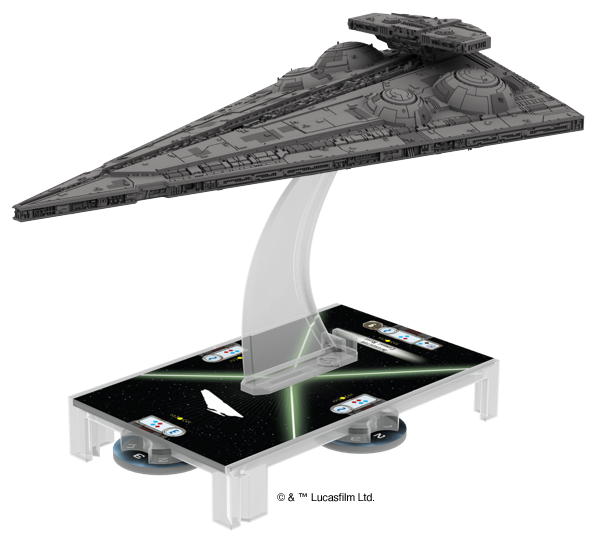 However, you can still make good use of your Interdictor to set up your squadrons for activation by your other ships. In the right fleet, the Fighter Coordination Team is an excellent substitution for your Engine Techs and can move a pair of unengaged squadrons without activating them. 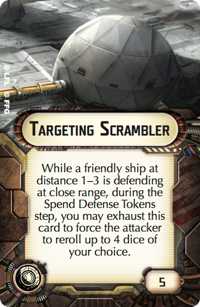 Whether you use this movement to engage enemy bombers or to get your bombers into position, the fact that your Fighter Coordination Team grants a partial squadron command for no action makes it a noteworthy bargain. 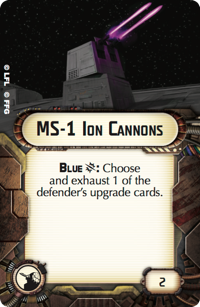 Finally, the Interdictor Expansion Pack gives you access to a new ion cannon, the MS-1 Ion Cannons, which exhaust one of the defender's upgrade cards whenever you roll a critical hit on your blue attack dice. 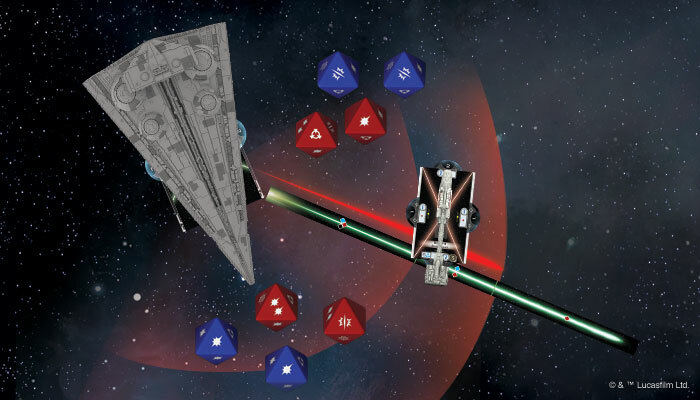 Given the number of blue dice on your Interdictor—much less the number of blue dice you can fire from your Dominator —the MS-1 Ion Cannons are bound to make their presence felt in numerous skirmishes across the galaxy. With all that it brings to the table—and not just for the Empire—the Interdictor Expansion Pack goes a long way toward truly playing the admiral's game… You do not go to battle without a plan. You devise your strategy. You assemble your fleet. You issue your commands. And then—and only then—you rip your opponent's ships out of hyperspace. Start dreaming up your new Imperial fleet. 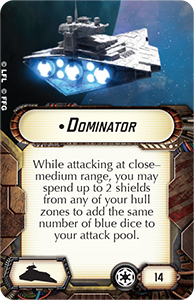 We will soon begin accepting entries for our Star Wars: Armada Fleet Commander Contest. But before we do, we intend to reveal the secrets of the Rebellion's new Liberty Expansion Pack!